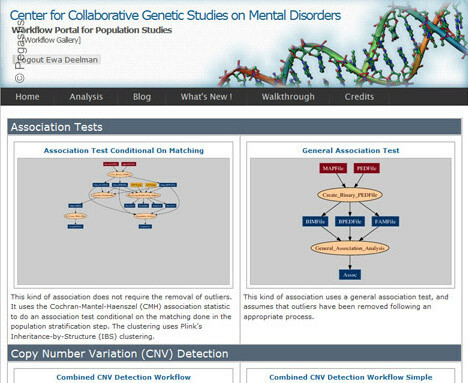 The computational portal developed for the Center for Genomic Studies of Mental Disorders uses Pegasus to manage workflows for genetic population studies. This portal uses the Wings (url) workflow composition system and Pegasus to enable scientists to launch an analysis based on the available workflow template. Below is a screenshot of the portal Workflow Gallery.